Hello Friends Today we are sharing a useful trick to you. You never do this before. This trick name is How To Download Web Files Faster and we’ll show you how can you do that. By this trick you may assist you to use your Net pack and WiFi at the same time. You might have questioned that can we use packet data and WiFi at the same time while we downloads file from the web? It is not possible because as soon as you turn on your WiFi, your packet data got off or disconnected. So friends, today we are going to introduce you one app that will help you to utilize the packet data and WiFi at the same time. So friends let’s know about it. Before starting you need to know some requirements. Everything has it’s condition. This app has some conditions. If you really want to do that you have to do some requirements. There is the app requirements bellow. You must have a Android Rooted device. WiFi and Packet Data available at same time. 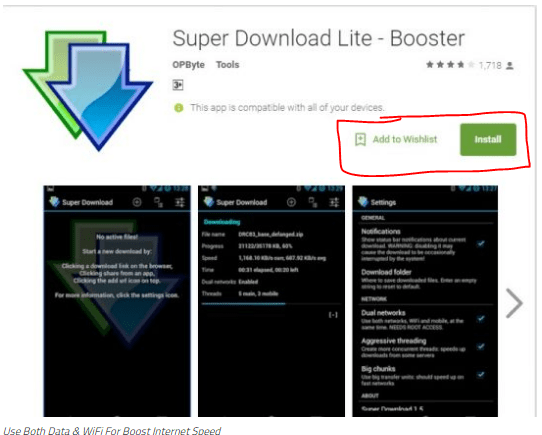 And of course you need to Download Super Download Android App. You can download it from google play store. By using this you can download your web files much faster. Now here is your task bellow. First of all you need to download Super Download . And then of course Install it. Then you can see the home screen of the app which will display No active files. Now click the Settings option. 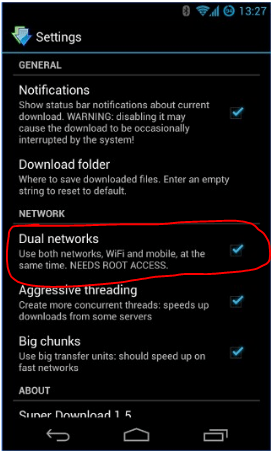 There you need to enable the option of Dual Networks which requires root access. 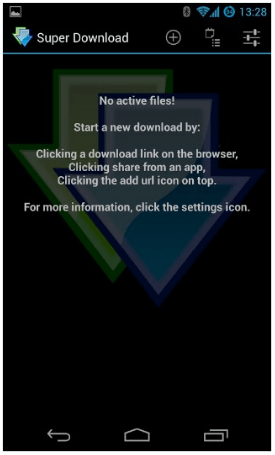 Now you can put your desired download link on Super download by simply tapping on (+). button which is located on the top of the app. That’s it! 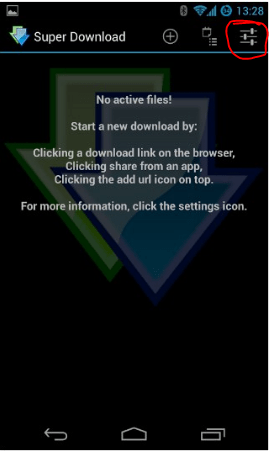 Now you can enjoy your download web files much faster by using WiFi and mobile data at the same time. By using this app you can download your valuable files much faster. It’ll save your time. This app has a paid Version . You can do this with premium app. The premium app is much better then free. So it is fully your choice want you want for you. Hope you like this app and our trick too. Stay with us to get more useful trick.